It's bold, it's big and it's perfectly blue. 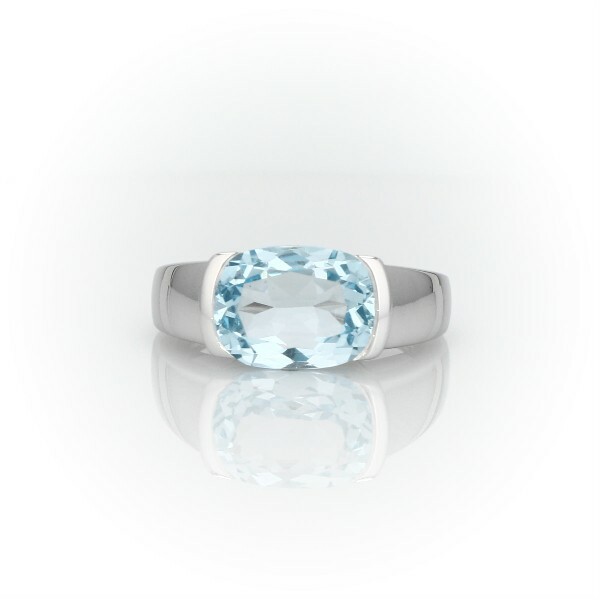 The blue topaz set into this 14k white gold ring really pops because the semi-bezel style setting allows more light to reflect out of it. You'll love to show it off.